To kids, and for some adults, Halloween is a time for trick or treating where you get to fill your tummies with delicious sweets. It is a time where you get to put on a costume and go around asking for candies. There are times when you don't have the time to go out to go trick or treating. You could be busy with work or your thesis yet you still crave to be part of the fun to satisfy your inner child. Whether it's for yourself or for your kids, you can still have a deliciously sweet Halloween, even without trick or treating. 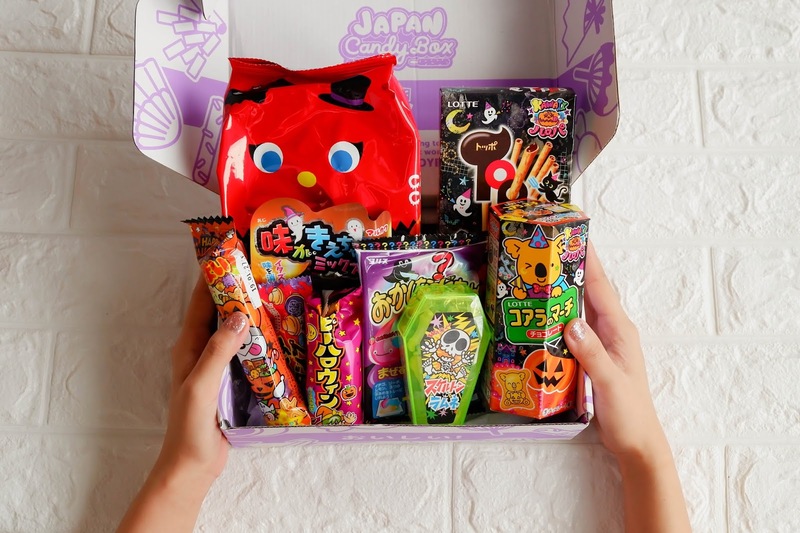 For those who don't have the time, opening up a Japan Candy Box filled with Japanese Halloween-themed treats is just as fun. 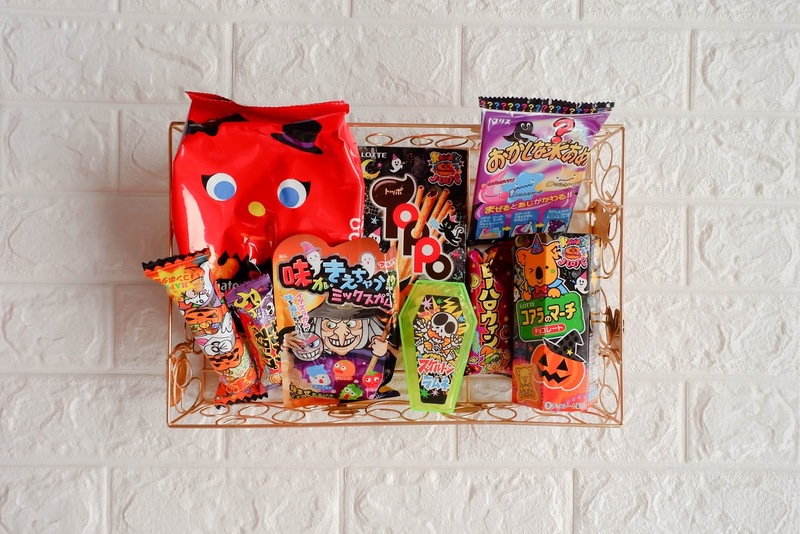 Discover popular Japanese snacks that are perfect for Halloween in October's Japan Candy Box. 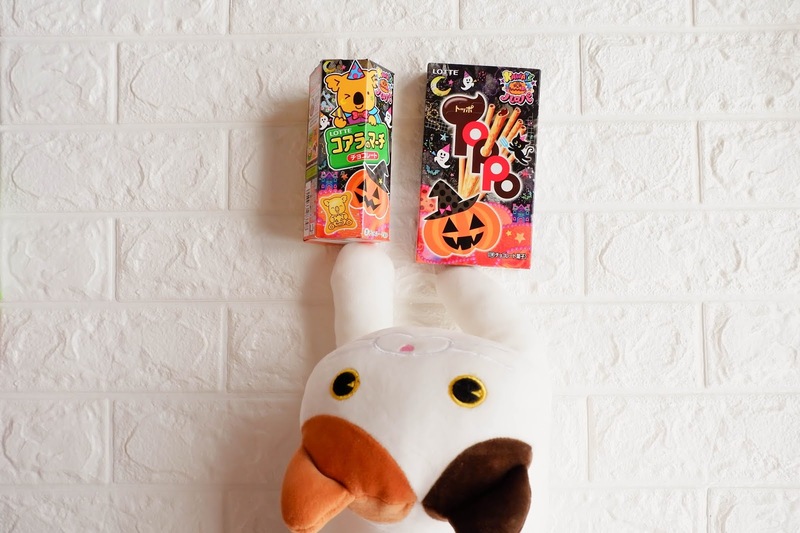 Among the Halloween edition snacks, I’m already familiar with Toppo and Koala’s March and I super adore the special Halloween design. Both cookies are filled with milk chocolate and both are just some of my favorite Japanese snacks. 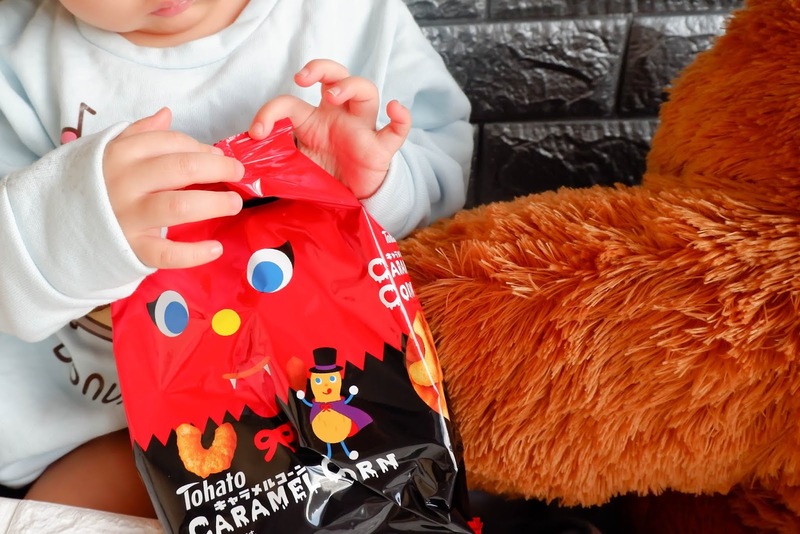 The last Japan Candy Box I reviewed had these Tohato Caramel Corn snacks which were Baby Q's favorite! 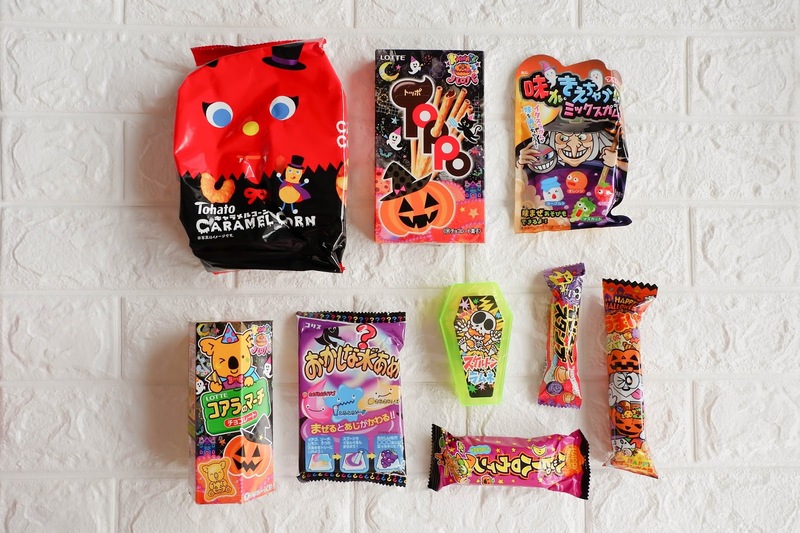 The October 2018 Japan Candy Box had Tohato Caramel Corn snacks too but it was much bigger this time and the packaging came in a cute Halloween design as well. These caramel corn treats have been famous in Japan since 1971, and it is with good reason too! With an almost melt-in-your-mouth texture, these caramel corn treats are crisp yet puffy. What's special about the Halloween edition is not only the packaging but also the limited edition pumpkin pudding flavor which was really good. It's sweet but not too sweet and you don't usually see these kinds of flavor locally. 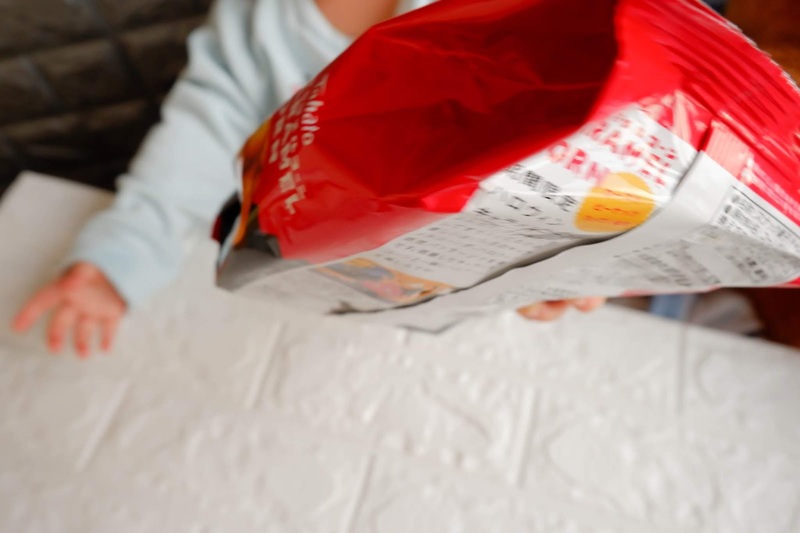 "Umai" means delicious in Japanese and Umaibo means delicious sticks, these puffed corn snacks are popular in Japan. 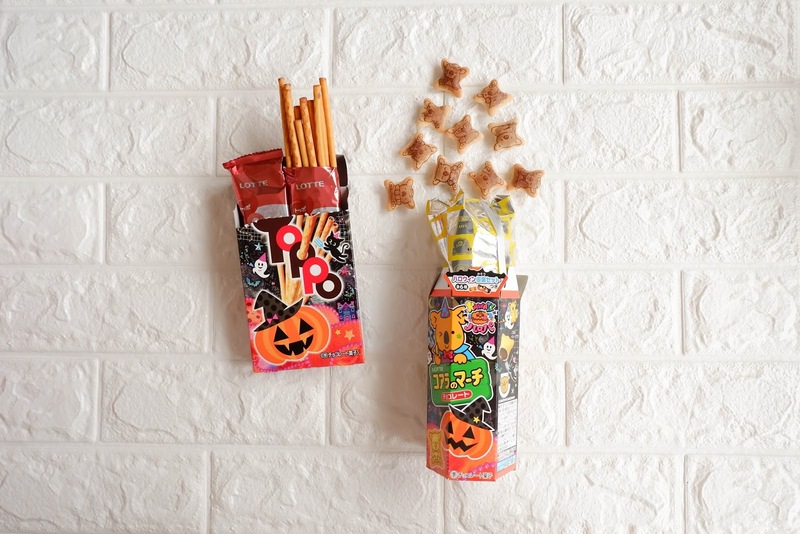 This special Halloween edition features a taste that is like an authentic Japanese corn potage soup. It tastes really delicious, very umami, like sweet corn with seaweed. The Umaibo Snack Stick is one addictive Dagashi, I wish I could have some more! Both the Skeleton Ramune Candy and the Monster Stamp Candy were fun to eat. Immediately catching my baby's attention, the bright green coffin that the Skeleton Ramune Candy came in made her really curious about it. It's fun to eat and play with because you can assemble the candy into a skeleton which was what I did. The Monster Stamp Candies were really shaped to look like stamps. I love how every Japan Candy Box has DIY snacks, or at least the boxes I got had them. I still haven't gotten the chance to do a video of the DIY takoyaki from my first Japan Candy Box but if you're interested in watching how I did the DIY pudding, check out my Kawaii Box November 2016 Review. Excited for next year's Halloween? 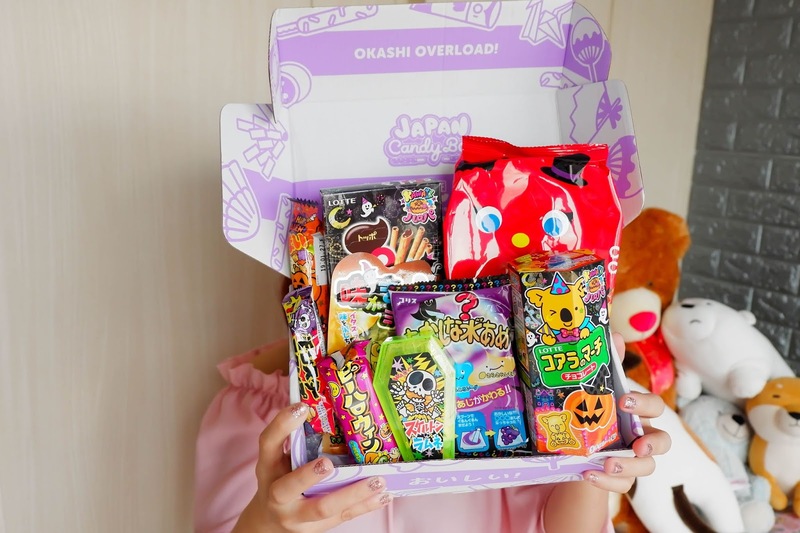 Try having a Japan Candy Box Halloween Party next year instead of doing the usual trick or treating, but who says you can't do both? 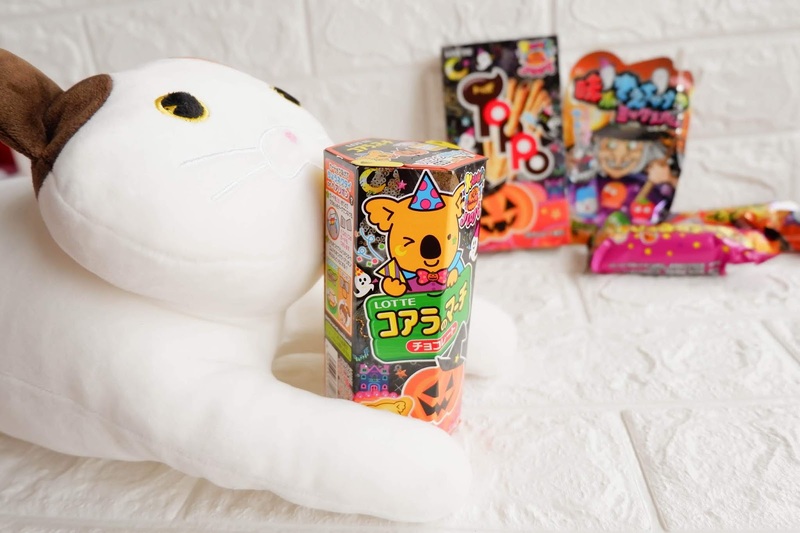 You can still go out trick or treating and enjoy unboxing Halloween Japan Candy Boxes with your friends! Also, congratulaions to the winners of my birthmonth giveaways for 2018! Congratulations to Cielo Jonna for winning my Facebook giveaway and to @prncssdnlxmn for winning my Instagram giveaway! Congratulation to Dan Rooney for winning my Japan Candy Box giveaway! 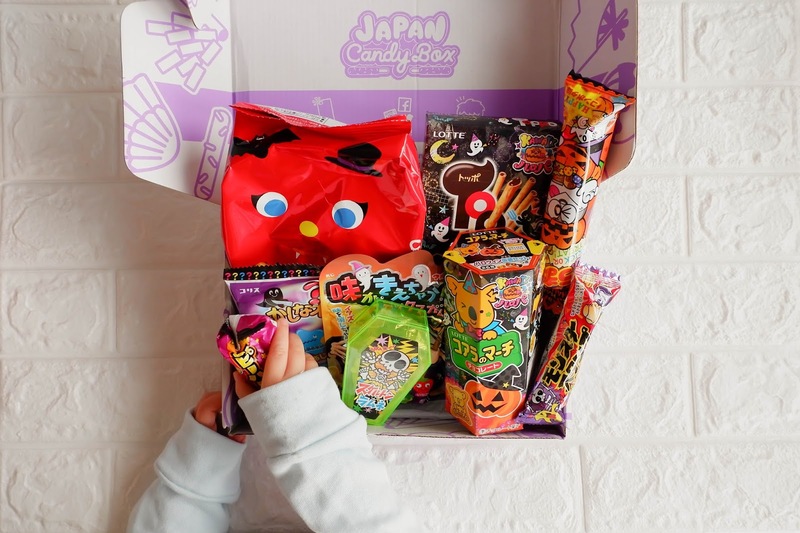 Definitely kids will enjoy as well as adult about the surprise box from Japan.. They love it..
Wow basta sweet, candy chocolate.. Gustong gusto ng mga kids yan.. I love it! And kids wil surely love them. We love Japanese snack specially their chocolate. I like the amount of sweetness of chocolate from Japan. Wish to have Japan Candy Box for my son, niece and nephew to share. They have swet tooth that surely love to eat chocolates. Wow. The treats looks creepy but yummy. Congratulations to the winners! Wow! Ang dami, very delicious and will surely make every kids happy! Excired for this. My kids will be very happy. I would love to try some Japan-exclusive sweets!